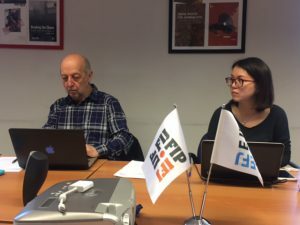 Despite the travel difficulties to Brussels following the attacks of 22 March 2016, members of the Labour Rights Expert Group (LAREG) of the European Federation of Journalists (EFJ) continued their meeting in Brussels to discuss the evolution of labour conditions for journalists and media workers in Europe. Thanks to a new EFJ project entitled Building Trust in media in South East Europe and Turkey financially supported by UNESCO and the EU, the LAREG meeting provided a unique opportunity to exchange views between EU and non-EU participants from South Eastern Europe of the EFJ members and discuss recent developments in the media sector affecting journalists’ working conditions. The enlargement of the existing LAREG to participants from the Balkans and Turkey transformed the EFJ’s expert group into LAREG+ which will bring together twice a year representatives from journalists organisations from EU members states with their colleagues following the same labour issues in South Eastern Europe and Turkey. LAREG Chair Philippe Leruth (Belgium) welcomed the participation of Erisa Zykaj from the Association of Professional Journalists of Albania (APJA) and Dejan Gligorievic from the Journalists Union of Serbia (SINOS-UNS) and they have been introduced to other LAREG members like Yannis Kotsifos (ESIEMTH, Greece), Rainer Reichert (DJV, Germany) and the EFJ secretariat. Other participants from Albania, Macedonia, Montenegro and Turkey had to cancel their flight following the temporary closure of Brussels Airport. 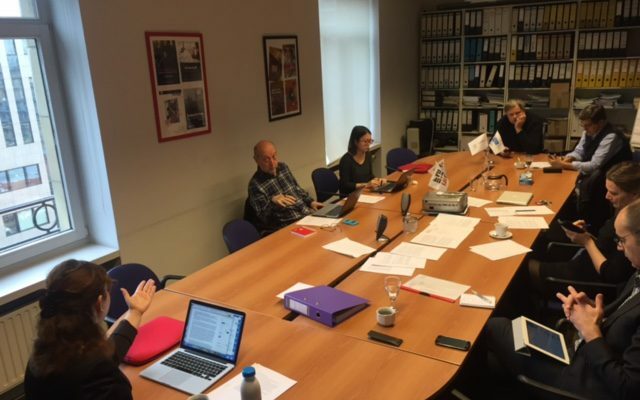 Zykaj told participants that the challenges facing journalists in Albania are similar to those in the rest of Europe; that is journalists often work without a contract and so their working conditions are not guaranteed. While Serbian journalists lack of independence due to political interference. 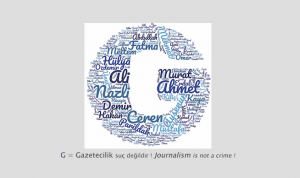 National reports on labour conditions for journalists have been shared and discussed among participants. At the EU level, LAREG Chair recalled two important meetings the members had with MEP Thomas Händel, chair of the EP Committee on Social Affairs and Marianne Thyssen, the European Commissioner on Social Affairs. 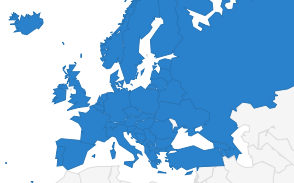 The EFJ secretariat made a short presentation on the Public consultation on the European Pillar of Social Rights launched by the European Commission and offered an overview on the upcoming meeting of other experts groups on digital media, authors’ rights and broadcasting. 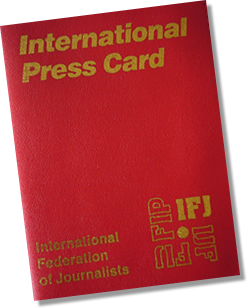 The LAREG+ proposed that the EFJ should carry out a monitoring on the labour and working conditions of journalists across Europe. LAREG+ members agreed to meet again informally during the upcoming EFJ General Meeting in Sarajevo before their next meeting scheduled in October 2016 in Zagreb (Croatia).